ESTECO. DESIGN THE PRODUCT OF THE FUTURE, TODAY. ESTECO is an independent software provider, highly specialized in numerical optimization and simulation data management with a sound scientific foundation and a flexible approach to customer needs. Our technology brings modularity, ease of use, standardization, and innovation to the engineering design process. ESTECO’s smart engineering suite brings enterprise-wide solutions for design optimization, simulation and process data management (SPDM), and process integration and automation. With 20 years’ experience, the company supports over 300 leading organizations in designing the products of the future, today. In the late 1990’s, three Italian engineers, Carlo Poloni, Luka Onesti and Enrico Nobile, created a spin off company turning the knowledge acquired during a European Union funded project into a successful commercial product. At the end of the EU funded project, the evaluation of the commercial potential of a multi-disciplinary optimization software called "Frontier" gave promising results and led to the decision of creating a new company acquiring the IP of the project. In 1999 ESTECO was founded and the platform called modeFRONTIER was brought to market. Based in the hearth of the Detroit automotive district, our North American office was primarily founded to provide qualified local support to customers in this space. Over the years, and thanks to a growing team of highly skilled professionals, the action scope expanded to many other sectors and organizations across the US, with recent focus on the Aerospace field. Working closely with customers over the years, we have achieved an in depth understanding of the governance of engineering procedures. The first generation of our enterprise technology, SOMO, was released to extend modeFRONTIER optimization capabilities into a comprehensive web-based environment for integrated management of simulation process and data. With a steady yearly staff growth rate, the need for relocation to bigger premises had become evident over the years. Located in Area Science Park in Trieste – Italy, the new ESTECO Head Quarters are bigger, more functional and modern. They offer a better work environment to our employees and allow space for further development. Our partnership with IDAJ as a proficient distribution channel was key to the expansion to Asian markets and to ESTECO’s global business success. Thanks to this long-term collaboration our technology is now widely used in many primary organizations in Japan, China and Korea, which currently represent a significant share of our market. Our Indian office was opened in Pune as a hub for strengthening strategic relationships with the growing customer base in the country. Along with offering qualified local support, the branch now counts on two professional teams which closely cooperate with our HQs on software testing and development. Our enterprise technology has evolved from SOMO to VOLTA to take collaborative engineering to the next level. Acting as an engineering hub, VOLTA provides an environment tailored for digital model generation and detailed analysis that actively supports organizations in the adoption of a formal optimization-driven design approach. 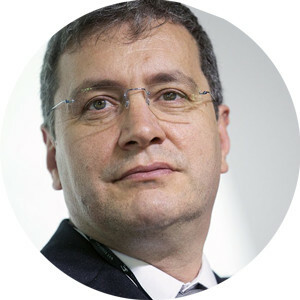 A Professor of Mechanical Engineering at the University of Trieste, Carlo Poloni co-founded ESTECO in 1999. He previously worked at Aeritalia and Sincrotrone Trieste and joined the University of Trieste as a researcher with a focus on Multidisciplinary Design Optimization. He has authored more than 100 papers and collaborates with international companies and organizations. 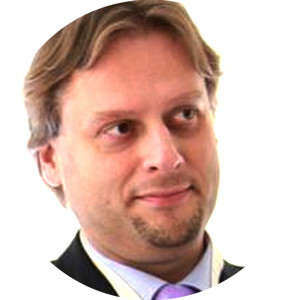 He is also a member of the board of the Italian Chapter of INCOSE. Luka Onesti graduated in Electronics Engineering at the University of Trieste and has an MBA from MIB School of Management. He collaborated as a visiting researcher at the University of Bergen (Norway), where he took part in the “Frontier” project. He later co-founded ESTECO and participated in the original modeFRONTIER development. As the company’s Chief Technology Officer, he is in charge of leading the software teams. Enrico Nobile is Full Professor of Thermodynamics and Thermal-fluids at the University of Trieste. He has a post graduate degree from Von Karman Institute for Fluid Dynamics (VKI) in Belgium. One of the founders of ESTECO, he is the author or co-author of more than 80 scientific publications. 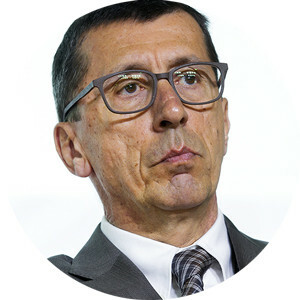 He was President of NAFEMS Italia and collaborated with many research institutions including New Brunswick University (Canada), Politecnico di Milano and Consorzio Padova Ricerche. By checking this box, you agree to be contacted directly by ESTECO or by one of our authorized partners in order to follow up your request. 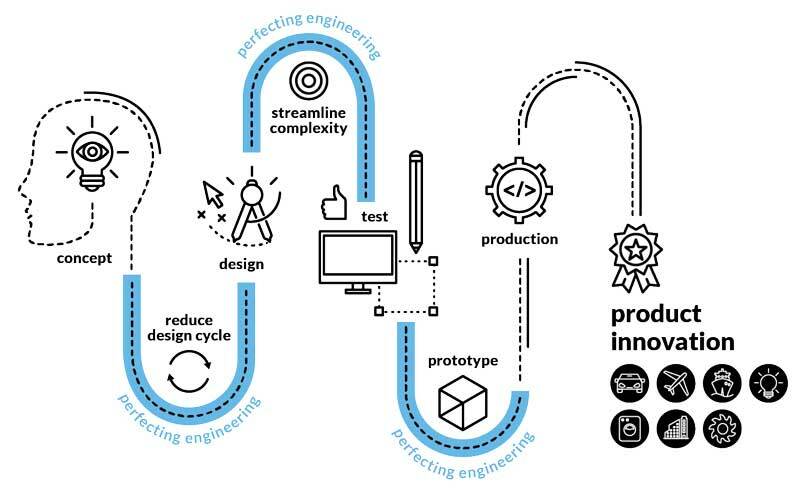 Working for ESTECO means being part of the global innovation process. Our young, highly qualified team works together on developing cutting-edge engineering software used by 250+ leading organizations worldwide.